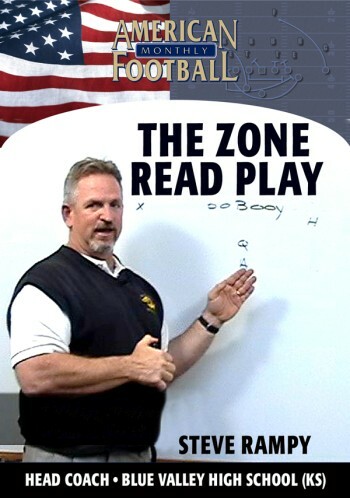 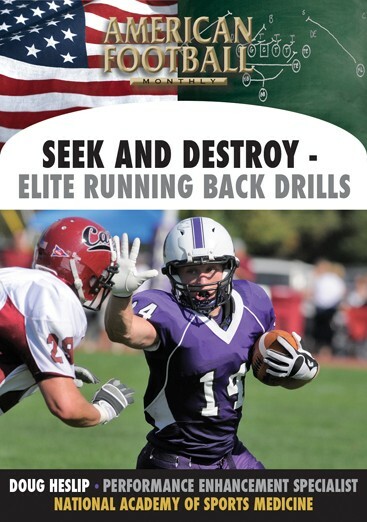 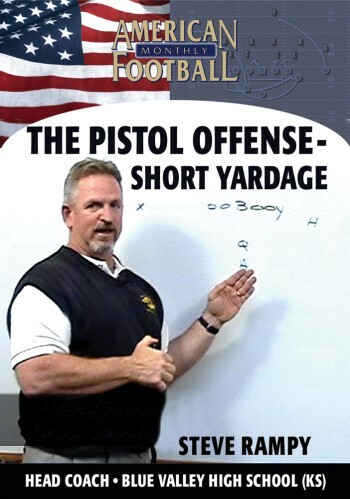 In this DVD, the third of a three part instructional series, Blue Valley High School Head Coach Steve Rampy outlines the Pistol offense passing game. 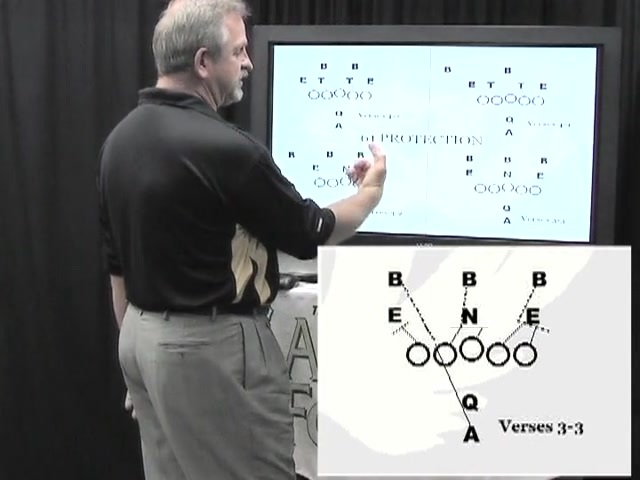 Coach Rampy explains Blue Valley's all non play action passing including the sprint out, 5-step drop and empty set passing game. 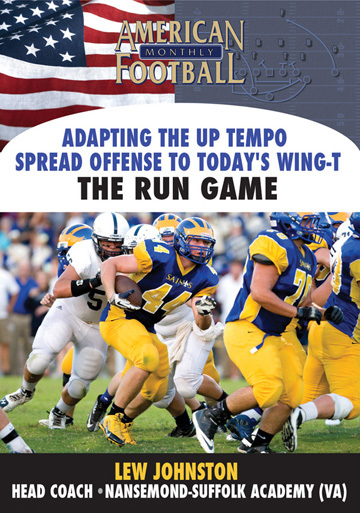 * Blue Valley's strategy with their passing attack. 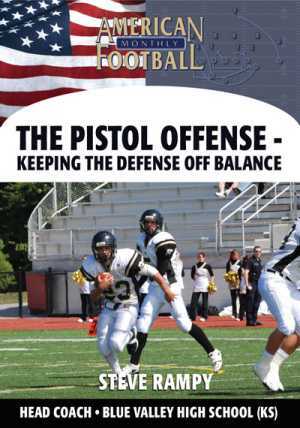 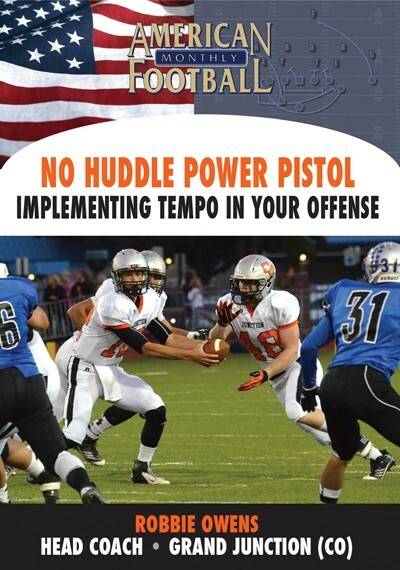 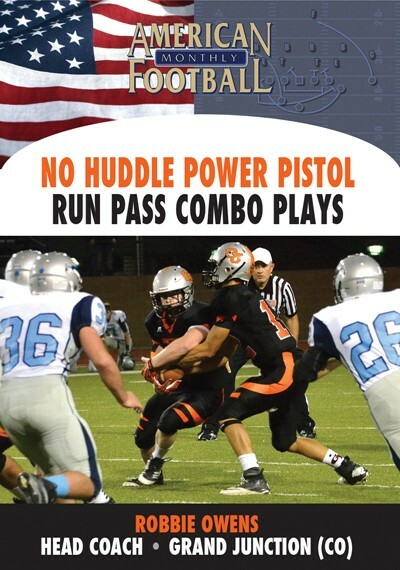 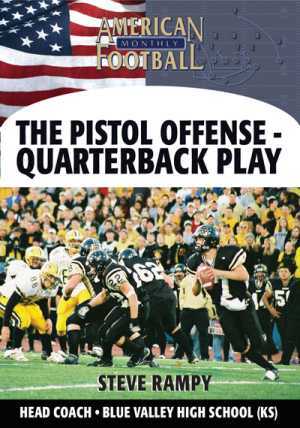 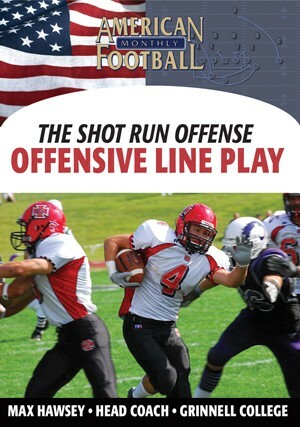 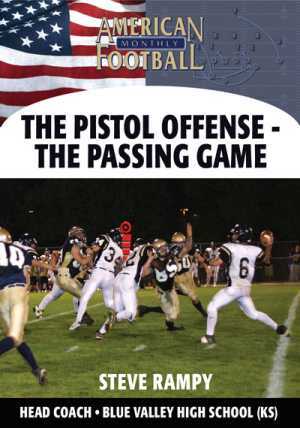 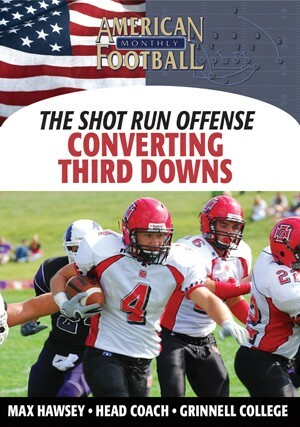 * Details of passing plays to complement the Pistol running game. 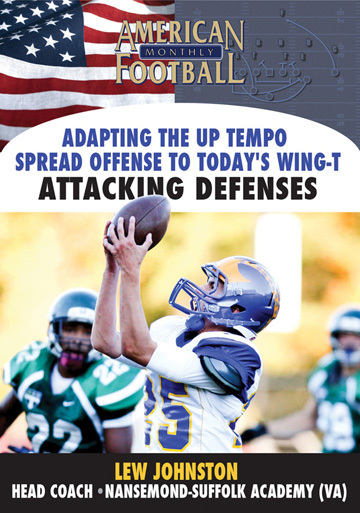 * Plays for the sprint out pass, 5-stop drop, and empty set formation. 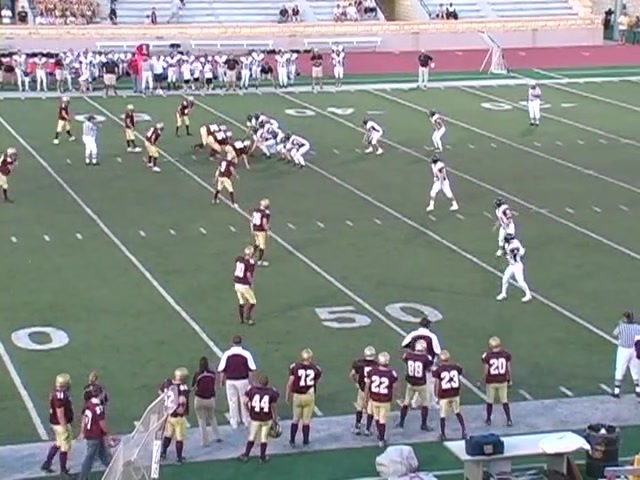 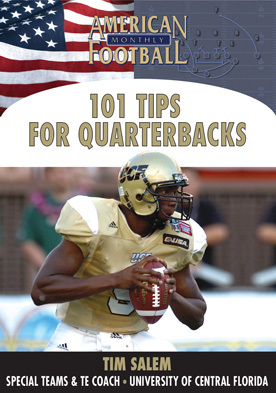 * Pass plays that will work in third and long situations. 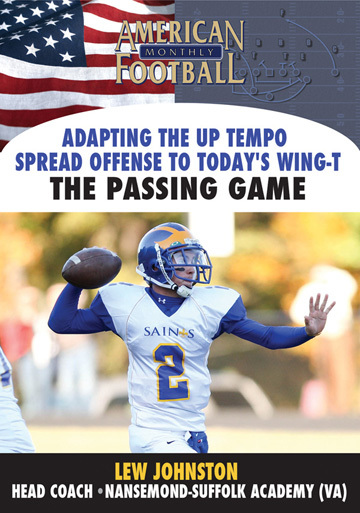 "To complete an offense, you need to know how to have a passing game that works. 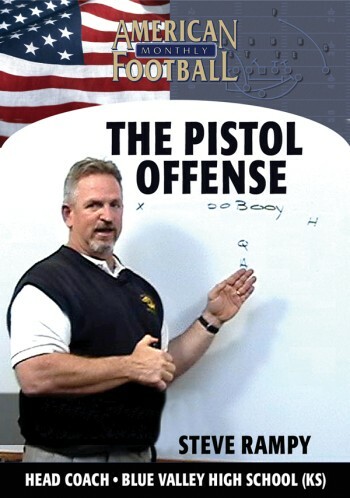 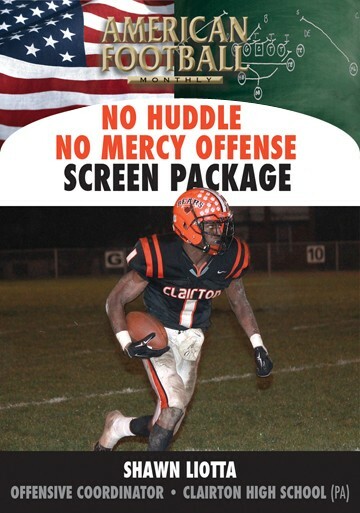 This DVD explains our passing game that complements our offense. It's easy to understand as well as install within your offensive scheme."